Back pain is something that affects a lot of people – It not only affects your physical state but also has a big impact on your mental well being. Lower Back problems are often caused by poor posture or a sports-related injury. The lower back has a big part to play in our overall mobility and when it is not working correctly can cause some serious pain. The lower back helps support the weight of the upper body and also ensures the normal mobility movements we make on a day to day basis. Lower Back Pain can keep you up at night causing you to become tired during the day – it also prevents you from taking part in a whole range of activities. It is important to get your back seen to the first time that you experience any pain. Many people are unaware of what exactly osteopaths do. This article is to talk you through some of the lower back pain treatments we offer. We will also outline some good exercises that you can do to help ease your pain. If you have any questions about the Back Pain Ascot service that we offer. Please get in touch with a member of the team today! What are the most common types of Lower Back Pain? Low back pain can show its self in a variety of different ways all of which have different symptoms. There can be a mild and subtle but always present pain and on the opposite side it can be extremely severe and cause a lot of discomfort. The 3 main types of back pain are outlined below. Chronic Back Pain – This type of back pain is almost always associated with the lower back and can last from anywhere between 3 months to a lot longer! The pain experienced is usually severe and has a big impact on your ability to work and perform daily mobility functions. Initial treatments sometimes find it tough to treat this back pain but we are confident that our osteopaths and masseuses will be able to help treat the pain you are experiencing. Acute Pain – This pain is usually associated with a trauma caused by an injury or tissue damage. It typically will come on quite suddenly and last for up to a week. With this type of pain, it will gradually reduce as time goes on and the body is able to heal. Seeking Lower Back Treatments will help to speed up this process and also outline if it is just acute back pain or something more serious that you should potentially be aware of. Subacute Back Pain – This type of back pain can usually last from 4 weeks to 3 months – It is usually brought on by prolonged muscle strain or joint pain. This can commonly happen at the workplace be that doing manual work or office work. All of these professions pose problems for the back. In addition to this, gym workouts may also cause this type of pain. It affects peoples ability to perform daily tasks and is something that should be looked at. If you feel that one of the 3 different types of back pain mentioned above effects you and your body then please get in touch with a member of the Openhealth Clinic team today! How Can The Openhealth Clinic help you? We have a variety of expertly trained osteopaths and masseuses on hand to help our clients and patients with any form of back pain. We are musculoskeletal specialists and will get down to the very cause of the pain to ensure that we are able to identify, treat and hopefully eradicate the pain for good. Research conducted clearly shows the importance of early intervention. Early treatment can dramatically reduce the likelihood of the condition or pain becoming worse. It is important to get this done within the first 3-4 days if possible. If, however, like many, you are experiencing pain in your lower back for a long period of time now but have not got it seen to we are still able to help. We offer a multi-treatment approach which looks at how the massages, physiotherapy, osteopathy and sports massage treatments can help with your condition. The first stage of the process is for you to book in for your first session in which will aim to identify the source and severity of your lower back pain. For this, we will look at the effect the pain is having on your mobility and also ask you to perform some exercises so we can asses the extent of the pain/injury. Having close relationships with your osteopathist helps and we are a firm believer that we can help improve your mobility. There are a variety of exercises that can often help with back pain – whilst we always advise it is important for you to come in and speak with a member of the Openhealth Clinic team, you can also give these a try to see if it helps you and your pain. Whilst movement may hurt the back it can actually help to relieve back pain, the following exercises are great if you want to try and help your mobility problems. It is recommended that you repeat this exercises anywhere between eight and 12 times. Hold the position still for five seconds and then switch to your other leg. Make sure you do not lift your arms or legs any higher than the low back position. 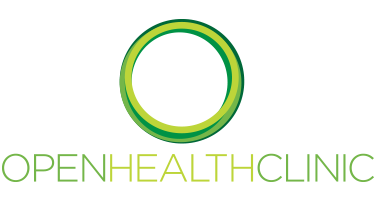 Openhealth Clinic operate a state of the art clinic in Ascot with the latest equipment available to all of our members of staff so if you are experiencing lower back pain and need to find a treatment – we can help!